For the first time in my travels, I find myself in a country that looks and feels almost exactly like India. Exiting the airport, I’m accosted by a short young man with shiny black hair tied in a neat ponytail. “Sim Card?”, he asks eagerly, holding out 5 packaged Indosat SIM cards. Wikipedia will later tell me that Indosat is the 2nd most popular service provider in Indonesia after Telkomsel, with north of 40 million subscribers as of Q4, 2010. Telkomsel, which is primarily state owned has over 90 million subscribers. I dont buy any, since I’m hoping to get the best deal out of the tariff plan jungle that I’m sure exists in Indonesia as it does in most other countries in this region and my friend with the SIM cards doesn’t seem keen on a long involved conversation. The SIM card costs only Rp. 50,000 and in Indonesia, that is clearly not a price worthy of a drawn out sales process.The big difference from India though is the simplicity of SIM card purchase. India over the last couple of years has started tightening its mobile phone and SIM card tracking systems, ostensibly in the name of national security, to the point where its no longer possible to purchase a SIM card in India without a local reference, who will need to provide a documentary proof of residence and a photograph besides.Indonesia clearly is a freer market. You can buy a SIM card much as you would buy a pack of cigarettes. It would be interesting to see how this impacts usage. Based on the simplicity of purchase, I would expect most people here to carry dual SIM phones and leverage the best tariff plan on a call by call basis. This is something I hope to check on while I am here.Jakarta is a warm humid city that seems to stay up all night. Even at midnight, I saw people hanging about on street corners. Street food also appears to be popular and vendors also seem to stay up all night. On first impressions, Indonesian culture appears to be fundamentally community oriented, very much like India. Groups of three or more appear to be more common than loners or couples. As distinct from the western world, where individual physical space is highly valued, I see people standing closer to each other, even when they clearly are not part of the same group. Phones appear to be used for talking more than texting or “app-ing”. These are all encouraging signs for me, since I am here to set up a voice based system. Interestingly, Swara means voice in Bahasa Indonesia, just as it does in most Indian languages. I am hoping it will catch on just as quickly here. I finally meet up with Sam for breakfast and we spend some time planning out our work here. Our partners in this experiment are Air Putih and RuaiTV. Over the last week I have spent time online with the AirPutih team to get a local installation of Swara running and we now have a Swara installation that speaks Bahasa Indonesia. Later today, we will meet the AirPutih team and head with them to Pontianak, in West Kalimantan, where RuaiTV has a facility. The Swara installation is targeted at this region. Sam and I talk about deployment strategies. Lately I have been thinking about a hyperlocal deployment model, which would involve having ultra-cheap, possibly portable IVR installations hosted by community members, that will act as local audio bulletin boards. The best posts from these local installations can be extracted from a central management hub and processed to create high quality audio content that can be used for different applications, such as radio and/or television programming. The components used would need to be cheap and locally available. Later we head to the Air Putih office, where Agus (Bobo) Triwanto and Agung R are waiting for us. Over strong black coffee and smokes, we get to know each other. Air Putih is a fascinating organization that focuses on disaster management and open source technology. They are best known for their work using V-SAT links to rebuild network infrastructure in the tsunami affected areas of Indonesia. They are currently working on a project to migrate the Indonesian government IT systems to open source software and also researching software usage patterns and motivations in Indonesia. Bobo confirms my hunch that most of Indonesia’s online population uses datacards or mobile phones to connect to the internet. Fixed lines are apparently difficult to get, given the administrative red tape. I also learn that while most of western Indonesia (including Jakarta) is reasonably well connected, the eastern half has very limited connectivity. We also discuss the state of media in Indonesia. Like most of the world, Indonesia’s commercial media is also focussed on news that generates ad revenue. There is also substantial political involvement in the media industry. The net result is that community relevant news doesn’t leave the local area and getting real relevant information from the ground is very difficult. While Indonesia allows news to be broadcast on community radio, the range for transmitters is limited to 2 kilometres and community radio stations cannot generate revenue from advertising. On the way to the airport we stop at a mall for a pair of feature phones. Relatively low cost local phone manufacturers are popular in the Indonesian cellphone market and the use of multi-card hybrid phones is clearly prevalent. Sam picks up two MOVI phones for under a 100 dollars, one that supports two SIM cards and one that actually has a portable TV built into it (including a neat foldaway antenna). Both phones support email, Facebook and Twitter through Java. Harry Surjadi is waiting for us at the airport. Mas Harry, a veteran journalist with over 20 years of experience is a Knight International Journalism Fellow and has been working to promote community journalism in Indonesia in collaboration with RuaiTV, who will host the Swara server in Pontianak. RuaiTV already has an installation of FrontlineSMS at their office, and Harry has put together a community of over a 100 citizen journalists and over 250 FrontlineSMS subscribers across West Kalimantan. He will be our point of contact with RuaiTV and will also help to train the users and moderators of the Swara installation at RuaiTV. I learn from Mas Harry that indigenous communities in Indonesia face many of the same problems that exist in India. I hear of people dispossessed of their land by palm oil companies. Palm oil is a major cash crop and the state has allocated large tracts of land originally belonging to indigenous people to oil palm plantation owners. I also hear of people displaced without compensation by mining companies in West Kalimantan and Papua. From what Mas Harry tells me, Indonesia sounds like the perfect place to replicate Swara in, since like India, Indonesia also has a strong oral culture and several indigenous communities speaking traditional languages. We arrive in Pontianak three hours later. Pontianak, named after a “vampire ghoul” according to Wikipedia, is a relatively small city. Our hotel is next to a mall though and we kit ourselves up with SIM cards to use for our setup at RuaiTV. Buying a SIM card in Pontianak is just as painless as buying one in Jakarta, though network strengths of different operators vary. We pick up a SIMPati (Telkomsel) card for the installation and I get an XL card for myself. I discover that the informal market in “fancy” numbers that exists in India has been institutionalized in Indonesia and “prettier” numbers are more expensive. The one we pick for the installation is about 3 times the price of a “regular” number. We arrive at RuaiTV fresh and early and are greeted by Mas Pancha, who is in charge of maintaining all of RuaiTV’s technology. The setup takes less than half a day and we are soon ready to test. I quickly discover that as in most parts of the developing world, connectivity and electricity are both erratic in Pontianak. We ensure that the system is properly hooked up to a UPS, to avoid potential data corruptions resulting from hard power downs. Bobo and Agung from AirPutih quickly develop a familiarity with the system that gives me a lot of confidence in their ability to support it into the future. Mas Harry suggests linking up the web end of the platform to RuaiTV’s WordPress site, and I spend the rest of the day and some of the night getting the integration working. With the addition of the MP3-jPlayer plugin to the WordPress site and a simple Python script to add posts to WordPress using the XML RPC API we are all set to publish to the website directly. The plan for the day is to train the RuaiTV staff on how to use and manage the system. We start at 10 with the usual introductions and then I go over the need for citizen media, using the standard Swara approach where we compare community media/platforms to a circle, where everyone is at the same level and equally equipped to communicate with everyone else on the platform. The team tells me that a “Ruai” in Kalimantan is the same thing as a “Chaupal” in India or a “Chaikhana” in Afghanistan. Clearly, the concept of a community meeting place to trade ideas, opinions and stories is a cross cultural one. 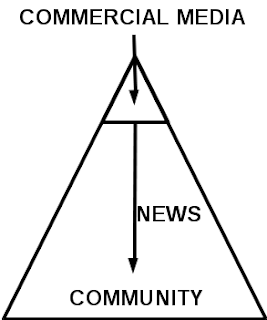 I then go on to talk about how commercial media is structured like a triangle, with a few people at the top determining what is “news-worthy” content for the entire community. In this model journalists are sent, typically from a corporate, urban environment to report about communities in less developed areas. These journalists are typically pressured for time and handicapped by the fact that they are alien to the community, often to the point of not even speaking the local language. With these conditions, it is no surprise that commercial media frequently reports a version of events that is relevant only to the elite, cosmopolitan section of the community. I point out my own situation in Indonesia, where by virtue of not speaking the language and meeting primarily, educated, urban Indonesians, I will likely leave the country with a less than accurate picture of the ground reality unless I spend time with the communities I want to understand and really get into their world. We also talk about the challenges faced by professional journalists employed by smaller media organizations, where in addition to collecting news the journalist is also responsible for generating revenue through advertizing. In that situation, impartial reporting is almost an impossibility, since the journalist has no incentive to report news that may be contrary to the interests of advertisers who are in all probability providing a bigger percentage of the reporters income than the media organization itself. This idea quickly catches on and the team comes up with several anecdotes of similar occurrences in their own experience. Next we talk about what happens to communities when they are left isolated and without a voice. I share the example of development affected indigenous communities in Central India and talk about the work we have done with CGNet Swara. Bobo then demonstrates the use of the IVR channel. We realize that the Indosat backup card on the system doesn’t transfer DTMF tones correctly and everyone switches to using the SIMPati number. After the few expected false starts with the IVR, the team quickly starts adding content to the system. Once we have a message from each of the participants, we then go on to talk about moderation. The RuaiTV folks are well versed with editing software, so getting them used to Audacity doesnt take much time. Soon, we have our first released audio report on the RuaiTV website. With the system set up and the first round of moderators trained, it’s time to open the floodgates and introduce the platform to citizen journalists in the region. Mas Harry has called in some of his top CJs from his experiment with FrontlineSMS. We start the session in much the same way as the one for the RuaiTV folks, except that we spend a lot more time talking about the importance of community media. We also talk about hyperlocal vs centralized deployments again. I am trying to get more and more people from the community to volunteer to host basic IVR systems, that will be exposed to relatively small, known groups of people. Having flirted with several ideas on how to make a community news platform sustainable, my current favorite theory is that the only way to make the audio portal paradigm stick is to make the technology simple enough for someone with basic computing skills to manage and then replicate in small community supported units. These units can then be linked up to form a larger network. This is in contrast to the centralized model, where all users access a single number/website. 2. 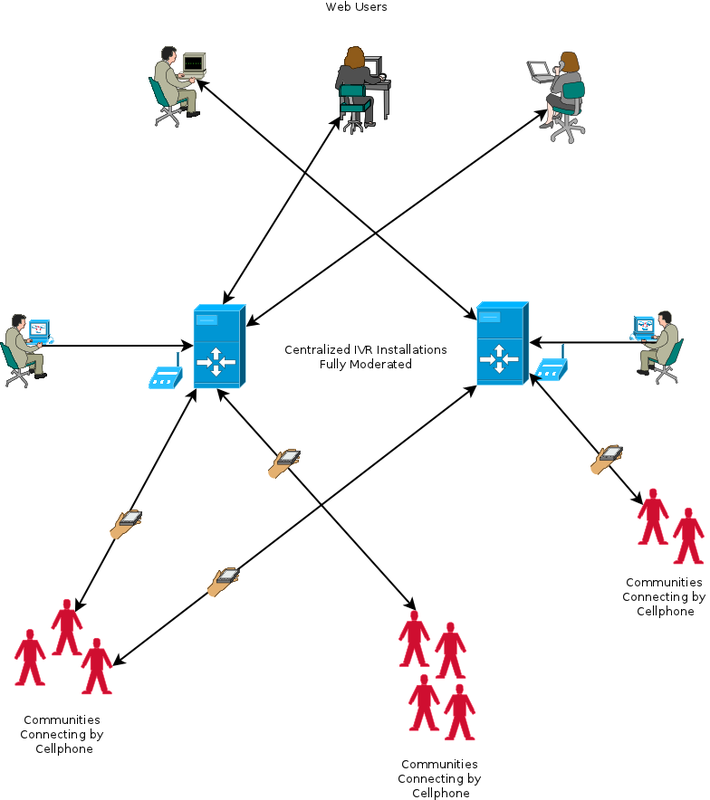 Since multiple callers are more likely to call simultaneously in a centralized deployment, the cost of installation rises proportionally to the number of lines supported. Particularly in India and other countries where long distance calls are still charged at a premium rate, this translates to even higher costs of running. Several approaches are being tried by different parties already to find a way to sustain a centralized model, such as subsidized calls, but the success has been limited at best. In the long term, I suspect that the hyperlocal model will prevail, since it allows more cross fertilization of content as well as the opportunity for function specific centralized portals to pick up relevant content from multiple channels simultaneously. For example, a news centric portal might look for community generated news, while a governance centric portal may look specifically for grievances. A few of the participants show an interest in deploying a local instance, but clearly the cost of buying the GSM interface (roughly USD 120) is still a stumbling block for most implementers. 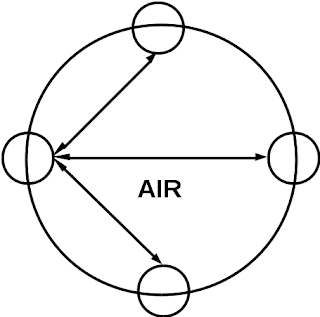 The AirPutih team and I discussed this earlier and came up with the idea of using an Android phone or even a simple datacard as the interface. At least one model of datacard sold in India (the Tata Photon, Huawei EC1260) can make voice calls and I am keen on finding others that can be used for the same purpose. If we can make a datacard work as the voice interface, that will drastically reduce the cost of deployment, boosting the chances for a hyperlocal model to take off. With Bobo and Mas Harry providing expert translation, the CJs quickly catch on to the idea of using the IVR. Of course, their initial enthusiasm will need to be reinforced with regular follow ups, but as a training exercise, the session is a success. We end the day with a taste of the local brew and as a rare treat Mas Ivie, the head of RuaiTV, cooks us a snake, adding an extreme touch to my Indonesian experience. Wednesday was planned as a buffer day and having finished the training and installation on schedule, I have a chance to visit the equator monument before we head back to Jakarta. Thursday is a big day. We’re meeting representatives from community radio and other social technology organizations to demonstrate and train on the Swara platform. I have my laptop installation handy and we use Agung’s SIM card in a Matrix SETU ATA 211G as the interface. The participants are all information activists in their own right and they have no trouble seeing the huge potential of a voice based technology as an information exchange tool. This group is also very tech savvy and by the end of the day they’re already competent on the use of the IVR system as well as the concepts of moderation. Today is my last day in Indonesia and we’re continuing the workshop from yesterday. 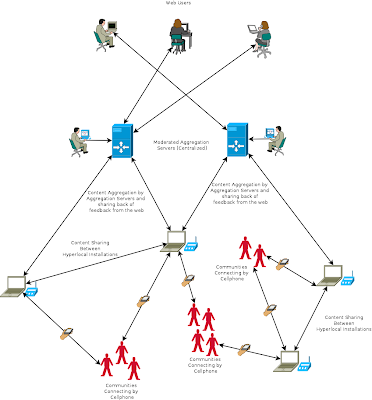 Now that the group has had a chance to use the system and understand at least in concept how its set up, most of them are confident that they would be able to set up the platform with some assistance. The natural next line of discussion is deployment strategy. One of the participants is the head of a village and I start by suggesting that someone of his stature could install the system in their own house as a hyperlocal instance and add on users at his own pace. In such a system, all users would be known to the community which would automatically reduce the amount of spam on the system. The group agrees with this and several more ideas for a deployment plan are discussed. We wind up the day with several of the participants installing the Swara software on their laptops to start experimenting with it. The enthusiasm is infectious and I use the time to move our code to GitHub and set up a community forum to support the new implementers. Later that evening I part ways with the AirPutih team, who have in a very short time become good friends. We will sync up again in the new year to collaborate on feature development and on building out the Swara community in Indonesia. I return to India the next day, with a newfound confidence that we will be able to grow Swara into a global community.